This analysis is of the hand of Sonia Gandhi, the Italian born woman who is the President of the Congress party. 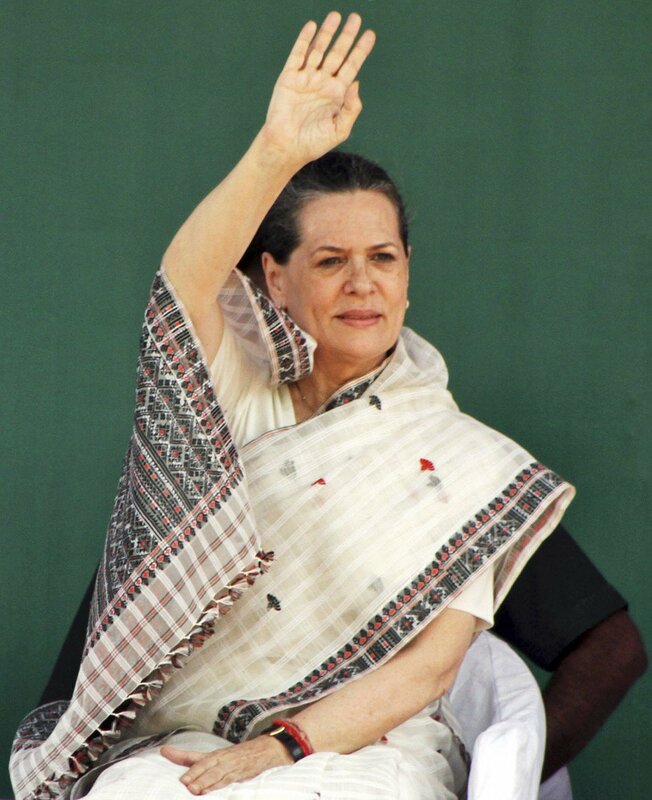 If one goes by the overall shape of her hand, the long Mercury (little) finger and whatever little is visible of her headline, then it shows that Sonia Gandhi is not an unintelligent woman as many accuse her of being. She may not be a scholar but she has an average intelligence and plenty of common sense. She has well-balanced views about life and is overall a pragmatic person. tends to have a slightly casual attitude to life, a carefree attitude which must have been pronounced in her younger days. She has well developed Mars and Venus mounts, a long thumb held close to her hand with a strong will phalange, and a high-set even if short Jupiter (index) finger. The lower Moon mount is also developed. Her fingers are fairly straight, with slightly thick lower phalanges and she holds them fairly close together. Her heartline is deep and curved and balanced with her headline. For a picture of her hand see here and here. No doubt this woman is aggressive and is mentally very strong and determined, even willful. But of a calm and stoic disposition. She is also very secretive. This type of hand is not a leader's hand. She will find it difficult to carry people along with her even if she is strong-willed. She is the kind who is more inward-looking and a private person and therefore not really suited for a public life. She would be reserved although quite capable of getting along with others because of a certain boldness in her personality. She can be warm, and the strong Venus mount clearly shows this, but as she is not open and so her warmth would be directed only to a selected few. She would keep her own counsel and not show her true feelings, maybe not even to near and dear ones. She is not the cold woman that she appears or is believed to be. She is actually a woman who feels very deeply indeed and would be therefore devoted to family. Not surprising why she was Indira Gandhi’s favourite daughter-in-law. It is also not surprising that she has taken on the leadership of the Congress party although she is temperamentally not suited to this profession. She likes fame, does not like to be in the background and has an ego. Perhaps she also thinks she is doing it for her children. She has ideals but this does not necessarily mean that these ideals are to do with politics. What it means is that she does have principles and a value system. Status symbols are very important to her. There is a desire for wealth but she is not the kind who will try to get wealth at any cost. Sonia Gandhi has good reasoning powers but diplomacy does not come easily to her although she is very shrewd. She is likely to have a negative way of looking at other people, and could suffer from feelings of deep solitariness and is the type to believe in conspiracy theories. 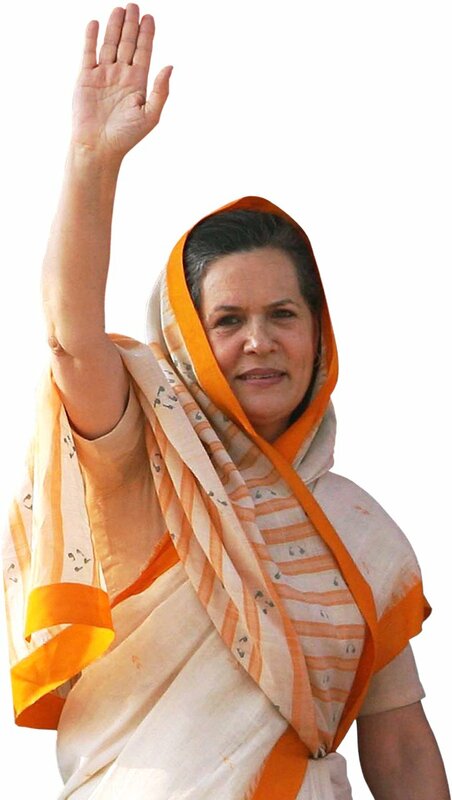 Overall, one can say that Sonia Gandhi is a very strong woman and someone who will stand like a rock during a crisis. It is possible that her husband Rajiv depended on her for her strength. She is also the conservative type and no visionary. Even in her actions, she is not likely to take independent steps or blaze a path. Check out Rahul Gandhi's hand analysis and also Priyanka Gandhi's. Read the hand analysis of Rajiv Gandhi, an ex-Prime Minister of India. Also, find out what Dr Manmohan Singh's (current Prime Minister) hands tell us about him. Interesting read. There is a popular perception that Sonia Gandhi is still in India (and in politics) because of the power and money..Though I believe in the contrary, does her hand say something about this? Anand, that is the general perception but the hand does not bear it out. The hand does show that she has little interest in politics and that she lacks a nationalistic fervour or even a feeling of a strong belonging towards India. But money and power is not her thing. It is her family. She will not leave India because of her children. They are her life. Her hand bears this out. However others (Congress) have certainly gravitated towards her because of the Congress money, to which I am sure she holds the key.